‘Triple constraint’ is a term often heard in project management. But how does it translate into achieved or missed project and organizational objectives? Here are six questions project managers need to ask themselves. If 88 percent of C-suite executives agree that project alignment with strategy is vital to organizational success, why are only 56 percent of projects meeting strategic objectives? Furthermore, in a report titled “The High Cost of Low Performance,” the Project Management Institute (PMI) states 61 percent of firms acknowledge they often struggle to bridge the gap between strategy and day-to-day implementation. How much of this is attributable to issues with monitoring and managing cost, quality and time throughout projects and what can be done address these issues? 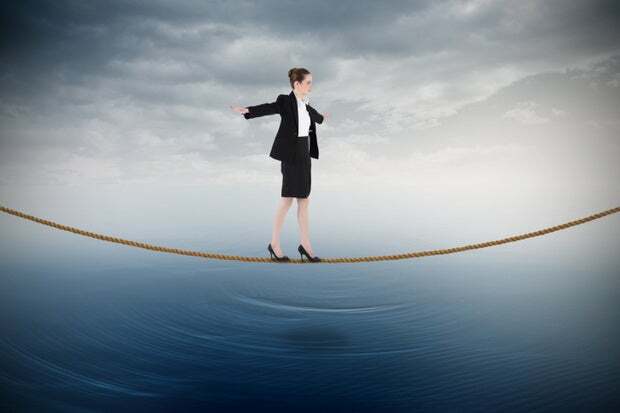 Triple constraint – the balancing act that occurs between cost, quality and time – is a term often heard in the world of project management, but what does that mean when it comes to the success or failure of a project to meet organizational objectives? Project managers are tasked with ensuring that they successfully manage the scope of a project to keep it within the cost, quality and time parameters determined by organizations at the onset. So how do project managers balance these three factors? This can be an ominous task, considering there are various internal or external factors that can rapidly change, causing any one or more of the three constraints to shift in an undesirable way. In order to decrease this risk, there are some questions you need to address in the beginning stages. Here are six important ones that could have a significant impact on project scope. Is the project purpose in alignment with organizations goals? Projects need to support overall business goals in order to warrant the expenditure, resource utilization and time commitment. Executing projects that don’t maintain strategic alignment is simply wasted time, cost and resources. Projects need to serve a specific vision and advance the business through continuous improvements or transformational activities. C-suites will need to determine if there’s strategic alignment at the onset to avoid scope creep after a project has commenced. Without knowing the answer to this up front, a project’s scope can take on a life of its own after the fact in an effort to re-align with organizational goals. Is the project scope realistic? Seeking a full and clear understanding of how the project fits into the organizational strategic direction is key to determining if the project scope is realistic. In order to successfully execute a project – on time, on budget and within specified quality standards – EMPOs need to have ongoing dialogue with executives from the start to ensure project deliverables and outcomes are attainable given the time, resources and commitment anticipated. If projects are planned poorly from the start, it becomes a fool’s errand to execute, and this just sets the project on course for disaster. Are the required stakeholders fully involved? It’s essential to determine who in the organization should be involved, and why they’ve been chosen for specific roles within a project. Gain an understanding of their roles, required contributions and levels of involvement. Project managers need to ensure that full support for the project is received from C-suites, team members and other stakeholders from the initiation to close-out. They should keep in constant contact, quickly identifying and clearly communicating changes, providing direction and outlining responsibilities with all stakeholders. Without this, a significant amount of time can be spent trying to regain buy-in, causing a project to run into overtime and over budget while trying to resolve issues with communication errors, personality conflicts or conflicting priorities. Are project details deliverables and objectives clearly defined? Clear understanding and communication of objectives and detailed requirements have a trickle-down effect, so loss during translation can be an issue that can adversely affect time, cost or quality. Do the project team members and stakeholders understand what’s required of them and why? Much confusion, rework, misunderstandings, unmet deliverables or missed deadlines can be avoided if project objectives are clearly defined and communicated to all stakeholders. In order to determine project deliverables or details – and before a project is initiated – the strategic objectives and direction are set at the executive level and conveyed through the EMPO. This starts with close collaboration between the C-suite and EMPO in the early stages of planning. The EMPO must possess a clear understanding of the project and how it fits with strategy in order to convey what is required from project managers, teams and stakeholders. Project managers need to have a crystal clear picture as to what they need to deliver on, when they need to deliver it and how this will be accomplished given time constraints and available resources. Absent this, a project manager cannot facilitate execution of a project effectively, communicate management needs nor guide the project team successfully. Are resources being effectively assigned and scheduled? Sometimes regardless of how well a project is planned and monitored, some of the best project managers have run into resource allocation issues from time to time. Obstacles can be anticipated at times, and this is where skilled resource scheduling can make a big difference, and save much frustration and time. Often throughout projects, project team members or stakeholders go on holidays, leave companies or simply get redeployed, causing resource shortages and missed deadlines. "This would make a very nice pullquote." At times, this can be identified and addressed in advance through close communications and monitoring of resources. Project managers can consider building in buffers, and avoid over scheduling or over loading other resources. Project managers need to remember they are working with people who often times have other responsibilities. Be respectful: No one likes to be scheduled down to the minute without some breathing room, so plan for this where possible to avoid team burnout and subsequent delays in deliverables and deadlines. How carefully and closely is the project monitored? Closely monitoring all aspects of the project allows a project manager to catch issues as they arise and reduce the risk of scope creep. Knowing where problems may arise in advance allows for better planning and more flexibility. This also allows project teams to collaborate in a more efficient manner and take advantage of brainstorming opportunities to maximize valuable experience and improve problem resolution in a timely manner. Projects have a way of becoming derailed very quickly if issues go unchecked. What can seem like the smallest hiccup can rapidly turn into cost overruns, time delays or a change to the quality of a product or service. Project managers need to keep a close eye on the status of all aspects to ensure they are not missing any internal or external obstacles that may throw the project out of scope. Keeping lines of communication open with all stakeholders, team members and management as well as being transparent when obstacles arise can go a long way to success and avoid unnecessary scope creep. There are times when scope creep is unavoidable such as organizational changes in direction, restructuring and other internal or external factors such as legislative, legal and policy changes that affect the scope. These are changes due to the business fundamentals and the resulting decisions and direction regarding the impact on the scope of the project rest on the leaders of the organization. The key is to avoid or reduce any unnecessary changes to the scope of the project that can in turn impede the success of the organization as a whole.